Oh my goodness gracious! Where do I begin? Well, I guess I can start by saying that I hope everyone had a Happy July 4th and that yours was full of watermelon, fireworks, BBQ, beverages, good company and of course lots of American pride. Moving onto to some fantastical news...I have been jumping up and down for the last month or so, dying to share this new Skinny Cow campaign with all of you. It is the most fun, brilliant, "I am WOMAN, hear me roar" idea I have EVER seen or been apart of! Okay, I am about to feed you with a bunch of AMAZING stuff. I need you to stick around because it WILL benefit you....pinky promise. So, I am not quite sure how this all happened, but by the grace of God, I was invited by Skinny Cow to be part of their summer WoCave' (wo-cah-vay) campaign. What does this mean? Let me tell ya. It's a WOMAN CAVE, people. It's about dang time! I mean, how long have the guys had their little man cave going on? Um, way too long. It's time us ladies embark on our own space...no boys allowed! And when I say WoCave', I don't mean some dark basement full of cigar smoke, sports and poker. I am talking girls night out, empowerment, carving out time for ourselves, retail therapy, a trip to the salon, gossip, a glass full of wine, endless giggles and anything else that we love to do with one another. Over the next month or so, I will be sharing with you a few missions that Skinny Cow is sending me on and how it relates to embracing "girl time" in our own caves. My first mission, getting my toes "did" with three of my best gals....and then a little shoe shopping....and maybe a glass or two of vino. What could be better, right? Stay tuned. Our mission is set for July 11th. I will be recapping our adventure via Instagram, Twitter and of course a blog post. In the meantime, you ladies need to jump on the Skinny Cow WoCave' bandwagon. There are a handful of things that you can do to participate, embrace your space, indulge yourself and demonstrate intoxicating freedom that comes along with being a woman. Win a $7,500 gift card along with a multitude of other fab prizes. Plus, FIVE other ladies will win an amazing prize package by doing the following....are you listening/reading??? 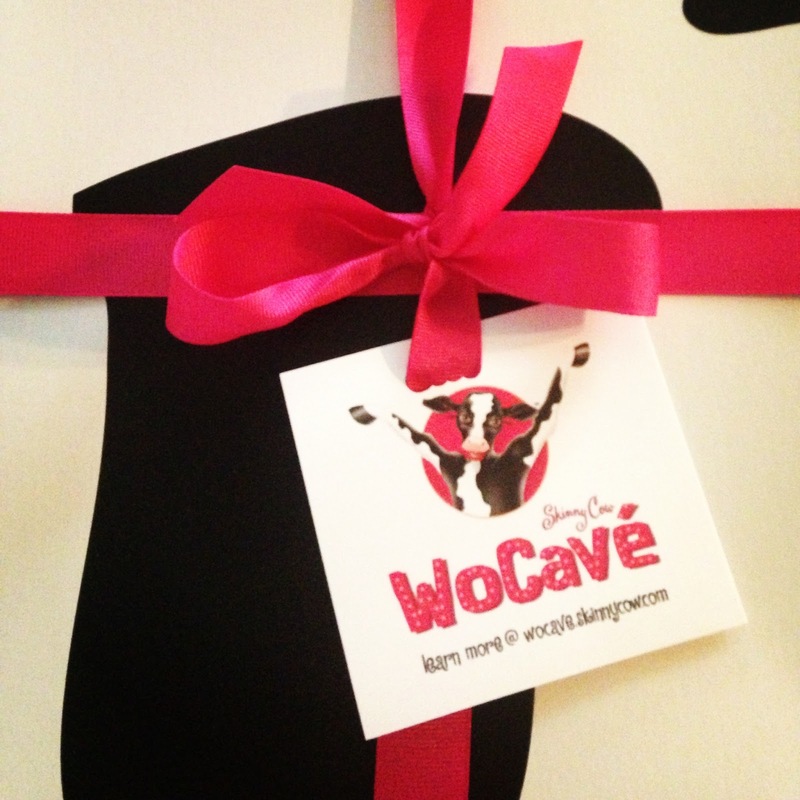 Build your own WoCave' on Polyvore and include one feature item in your set. Confused? Visit the Skinny Cow Create Page for more details. Still scratching your head? Here are a few boards that have already been created by other fellow WoCave' members. This is an elite club and you need to be part of it. This contest is open until July 15th, so get your creative juices flowing! Make sure to share with your friends and family....tweet it, post it on Facebook, blog about it, Instagram it....this is $7,500 we are talking about!! 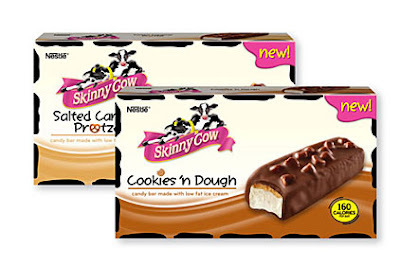 And while you are crafting your Skinny Cow WoCave' set on Polyvore, be sure to take plenty of bites of one of the new Skinny Cow ice cream candy bars. Holy heaven!!! Can you say Salted Caramel Pretzel or Cookie 'n Dough? My mouth is watering and tummy is screaming, "feed me"!! Remember, these bars are called "skinny" for a reason! Indulge in some yummi-ness without the guilt! Wait! Before you run out the door to buy one both of these boxes, please take :15 more seconds and watch this hilarious video from Skinny Cow. It pretty much sums up this entire post!! Welcome to the WoCave', ladies. Enjoy your stay! Oh my gosh, Skinny Cow ice cream bars are so good and I never regret eating them afterwards either lol.. I buy Skinny Cow all summer long! :) Great concept for the Wocave! YUM!!!! i love skinny cow, this is awesome! it's only 8:30, and now i need a dang skinny cow!! i love love love their ice cream! I love Skinny Cow!! I've been eating those for years. Low Fat ice creams taste just as good as the full fat versions if you ask me. What a fun idea! I've had Skinny Cow before and they are tasty. Looking forward to seeing recaps of your adventures! I need some skinny cow ice cream like STAT!! !